Here is my 7" Munny for the Art without Borders charity show @ Art Whino on February 23. Titled "M=O/C: The Divine Proportions of Irrelevant Symmetry are Tiresome Within the Mathematical Measure of Beauty". It was inspired by a Mathematician named George Birkhoff, who had a theory that states beauty can be mathematically calculated and measured with the formula M=O/C, or Aesthetic Measure=Order/Complexity, where each variable has multiple factors and every line, shape and form in the piece can be given a number relating to the formula. This is just the basic outline of what Birkhoff theorized. I've also been trying to paint a toy the same way i paint a canvas ever since i started customizing toys 5 years ago, and this is the closest i've gotten so far. My favorite piece I've done in a long while! 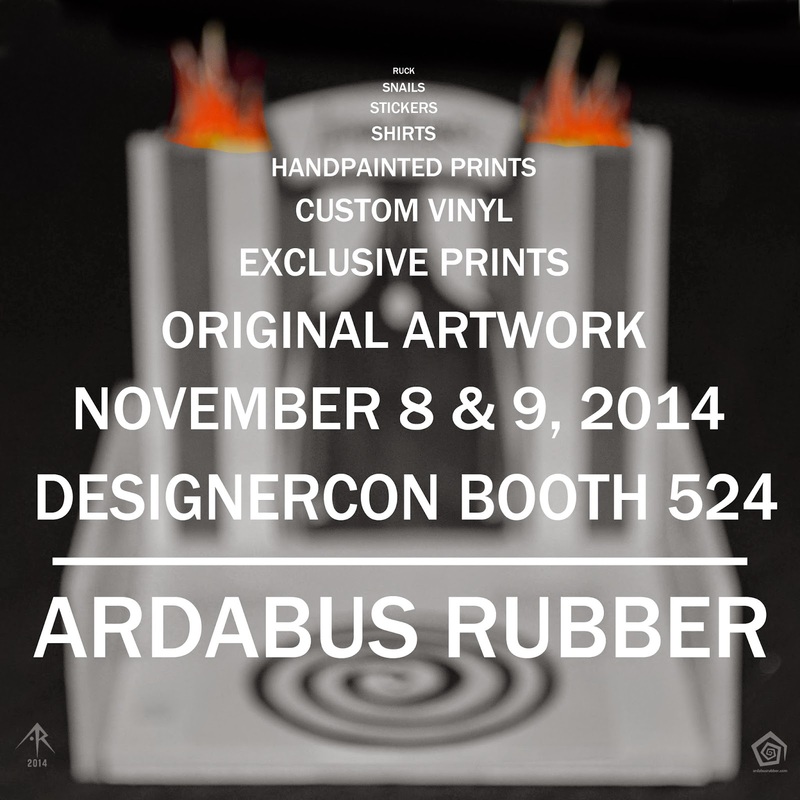 If you are interested in purchasing this piece, it is available directly from Art Whino or by emailing ar@ardabusrubber.com. I found this on the artwhino site and just purchased it, I'm really excited to get it!